We specialize in Inshore and Coastal nearshore fishing over the many oyster and clam reefs of South Marsh Island, Vermillion Bay and Cypremort Point area for Redfish, Speckled Trout, Flounder and Black Drum. We can also accommodate trips to the bayous and lakes of Bayou Dularge. Capt. Brian Romero was born and raised in Lydia, Louisiana. He has the experience of being on the water for the last 40 years, being a 100 ton boat Capt. in the Oil Field out of Vermillion Bay. 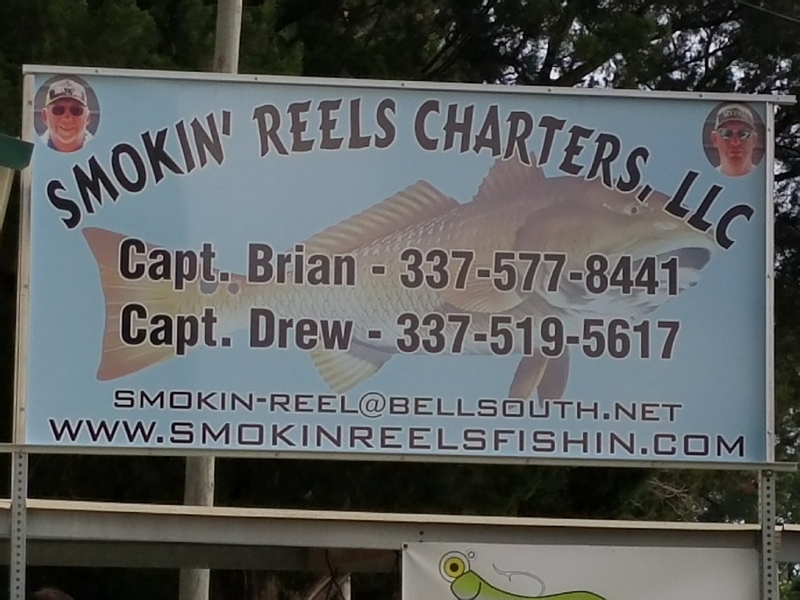 He and his wife started Smokin’ Reels Charters in 2008 Brian is considered one of the most productive guides in the Vermillion Bay area along with his 32-year-old son Capt. Drew Romero who is also U.S.C.G. Certified and Insured. Capt.. Drew Romero was born and raised in Lydia, La. He has been fishing since he was 3 yrs old. He has the unbelievable passion and drive to pursue the redfish and specks of La. Capt. Drew gained the experience and the love of fishing from his dad. We fish out of a 23ft Ranger Bay and a 24ft Skeeter Bay boat powered by Yamaha 250. We will be glad to cater to your request so come experience an awesome relaxing time with us on the waters of Vermillion Bay and Gulf of Mexico. It is our up most importance to make your trip as comfortable and memorable as possible.